Creation, evolution and the interpretation of Genesis 1-3 are perennial hot-button issues in the American cultural and theological scene. Among evangelicals, the debate over the genre of Genesis 1-3 has recently reached a fever pitch. 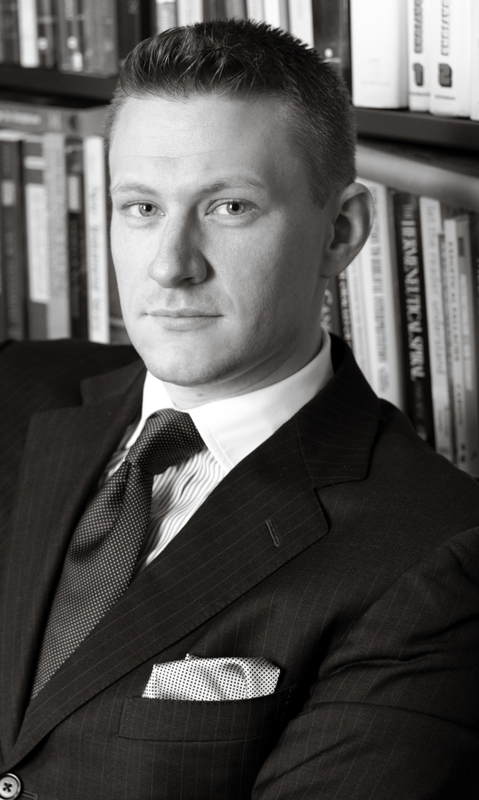 Some argue that belief in a literal six-day creation is a necessity, while others think the text is intended to be read literarily. John Walton of Wheaton College has recently published two helpful works that situate the creation account of Genesis in its ancient context: The Lost World of Genesis One (a more popular work) and Genesis 1 as Ancient Cosmology (a scholarly monograph). Philo of Alexandria had quite a bit to say about the creation accounts. Here I want to look at how he handles the conflicting creation accounts in Genesis 1 and 2. Modern scholarship, of course, has explained them as the result of different sources, but Philo presupposes Mosaic authorship, so that’s not an option for him. Instead, Philo reads part of the creation account as referring to the creation of the ideal or noumenal realm, which contains ideal forms, and part as referring to the creation of the physical realm (n.b. : he does not divide the creation accounts at 2:4b the way source-critics do, but his reading is generated by the same textual difficulties noticed by source-critics). The relevant passages may be found in De opificio mundi (On the Creation of the World). The quotes that follow come from the recent translation by David T. Runia. [Moses] says that the cosmos was fashioned in six days, not because the maker was in need of a length of time—for God surely did everything at the same time, not only in giving commands but also in his thinking—, but because things that come into existence required order (13). In other words, for Philo, the 6-day scheme was not a temporal framework, but simply a logical one. It expresses the logical structure or order of the cosmos, not a temporal sequence in which God created. He goes on to explain why six is the most obvious choice for expressing creation. Interestingly enough, James McGrath, one of my favorite bloggers, posted something tongue-in-cheek yesterday with which Philo might very well agree! 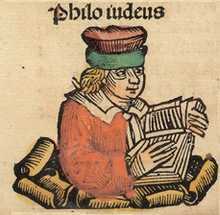 Philo also distinguishes between the creation of the intelligible or ideal world and the physical or sense-perceptible world. The intelligible world is the model according to which the physical world was created (Philo calls the intelligible model the Logos of God, 25). This model exists in the mind of God. 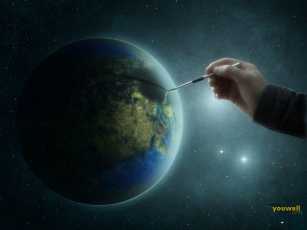 Gen 1:1-5 (Day One) refers only to the creation of the intelligible world. As he explains in his exegesis of Gen 1:1-2, the heaven and earth which God made were actually an “incorporeal heaven and an invisible earth” (29)—they were Platonic forms (See my previous post on the “invisible earth”). So also with the light of Gen 1:3—it is “invisible and intelligible . . . the image of the divine Logos” (31). Only on days 2-6 are the elements of the physical cosmos created, and they are modeled on the incorporeal one of the first day. 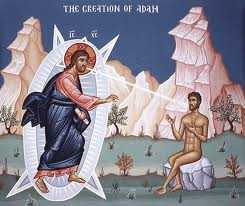 God creates Adam using the cosmic creation oral laser beam. He shows us in the clearest fashion that there is a vast difference between the human being who has been moulded now [in Gen 2:7] and the one who previously came into being after the image of God [1:26-27]. For the human being who has been moulded as sense-perceptible object already participates in quality, consists of body and soul, is either man or woman, and is by nature mortal. The human being after the image is a kind of idea or genus or seal, is perceived by the intellect, incorporeal, neither male nor female, and is immortal by nature (134). αὕτη ἡ βίβλος γενέσεως οὐρανοῦ καὶ γῆς ὅτε ἐγένετο ᾗ ἡμέρᾳ ἐποίησεν ὁ θεὸς τὸν οὐρανὸν καὶ τὴν γῆν καὶ πᾶν χλωρὸν ἀγροῦ πρὸ τοῦ γενέσθαι ἐπὶ τῆς γῆς καὶ πάντα χόρτον ἀγροῦ πρὸ τοῦ ἀνατεῖλαι οὐ γὰρ ἔβρεξεν ὁ θεὸς ἐπὶ τὴν γῆν καὶ ἄνθρωπος οὐκ ἦν ἐργάζεσθαι τὴν γῆν. Translated: This is the book of the origin of heaven and earth when it came to pass, in the day in which God made the heaven and the earth and every green thing of the field before they came into being on the earth, and every grass of the field before it grew. For God did not send rain on the earth and there was no person to work the earth. You can see from the portion I have emphasized that Philo’s Bible says God “created” things before they actually appeared on the earth, and that even after he had created humanity in his image (in 1:26-27), there was no person on the earth. Clearly, Philo reasoned, the first creation must not have been physical, but ideal or intelligible. A rare photo of primordial nothingness. By the way, it is not clear at all that Philo holds to creatio ex nihilo. He never speaks of God creating matter as such, but rather of organizing and structuring (already existent?) matter. This is an area of much contention in studies of Philo. How did Philo interpret the “let us” of Genesis 1:26? Did God have help in creating humanity? This entry was posted in Philo and tagged Creatio ex nihilo, Creation, Genesis, Image of God, Logos, LXX, Philo, Six Day Creation. Bookmark the permalink. Love the photo of primordial nothingness!